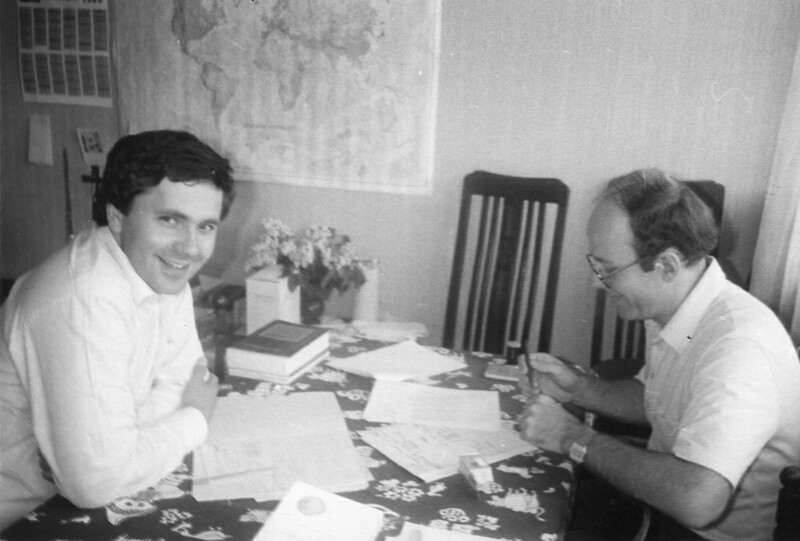 Jacek Reka (left) and Joel Kibler in Poland in the mid-1980s. From 1983 to 1986, I made five trips to Poland on behalf of the People of Praise. My trips were part of a broader outreach effort behind the Iron Curtain begun in 1977 by Andrew Plodowski, one of the founding members of the community. Through the efforts of Andrew and his wife Beryl, baptism in the Holy Spirit had spread like wildfire in Poland, earning Andrew the nickname “the apostle of the charismatic renewal.” As winds of the Spirit blew, interest in Christian community also grew, and I had been talking with Polish leaders about joining the People of Praise. During this period, Poland was a communist police state. In March of 1986, I flew from Chicago to Zurich, then on Lot, the Polish airline, to Warsaw. When I got off the plane, I was greeted at the bottom stair by the cold stares of 20-year-old soldiers holding AK-47s. At the entry to the terminal, four more soldiers stared at me. Inside the terminal, there were four more staring soldiers holding their AK-47s. At immigration, the officer studied me intently for several seconds, then, with a grimace, stamped my American passport. At customs, the officer made a woman in line remove everything from her suitcases. Everything! He searched her eyeglasses case, lipstick container, mint breath box and tiny change purse. Outside I met Jacek. He put his finger toward his lips to signal not to talk and motioned me to his car. Finally, 10 minutes from the terminal, out on the highway, he said, “Did my Uncle Piotr send the gift?” “Uncle Piotr” was a code name we used in our correspondence for his anonymous benefactor. In my letter to Jacek, via the notoriously unsafe Polish mail system, I told him that an Uncle Piotr asked me to bring him a small wedding anniversary gift. Uncle Piotr was a Dutch businessman who believed Jesus wanted him to give all his money to the poor and needy, all of it, all $200 million. He wanted to die poor, like Jesus. I greeted his wife, Maria, and learned she had been arrested three years earlier by the secret police on a vague allegation of possessing illegal printed materials. The police had hauled her and her roommate to the station, stripped them naked, and taunted them saying, “So, where’s your Jesus to help you now?” Fortunately, the police, after searching her whole house, had failed to notice the boxes of Bibles, stacked on the floor next to a gas stove, which Maria had hastily covered with a cloth. With no evidence, they released the two women, who went home praising God for their deliverance. I had seen the secret police before, at a mass for the Solidarity movement that I had attended with Andrew. At the mass, our host had pointed to the men in ties and trench coats, telling us about the hidden tape recorders, revolvers and cameras that such men carried. The secret police were like the FBI, CIA and the police all rolled into one single, oppressive internal military force. In those years, youth movements such as New Life were active despite government opposition. These young men and women were so excited about being part of this movement that they worked every angle to get jobs in Krakow. Some of them stayed after graduation if possible and married one another. Their life together had become home for them. They wanted to talk about Jesus. They didn’t seem bothered by government spying, restrictions on their freedom and the prospect of long workweeks to eke out a living, the scarcity of paper, tea and coffee and shoes. They simply wanted to be together. 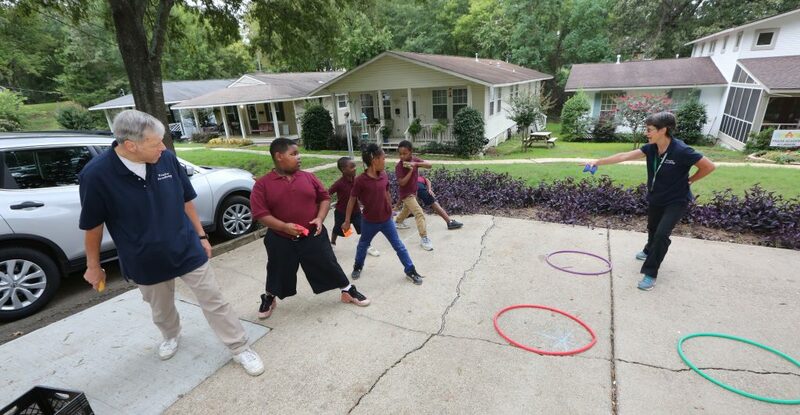 Their lives had changed for the better. They were full of joy and hope. One young man named Janusz told me he wasn’t an atheist anymore, Jesus had revealed himself to him, and he was so happy! Mariusz, my 24-year-old interpreter, lived simply, like most students, and gave his extra money for the purchase of food for weekend retreats. Ursula, Piotr and their mother had a new set of good friends to comfort them while their father was in Muammar Gaddafi’s Libya for two years working in the oil fields. Andrew Plodowski had successfully prayed for a healing of Michal’s back injury, and he was sleeping well for the first time in five years. Jacek and a few others were smuggling Bibles into the Ukraine. It was dangerous work. 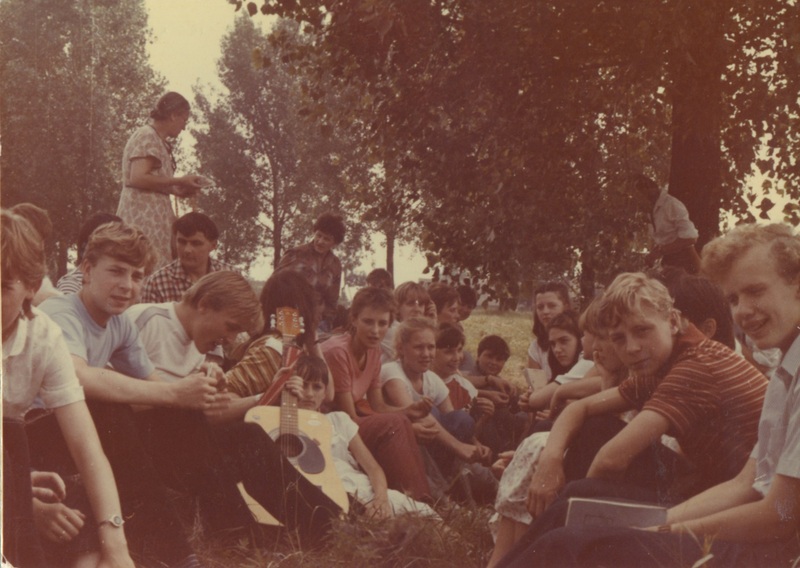 Want to learn more about the work of the People of Praise in Poland? Check out Into the Lions’ Den, a book by Tom Noe (South Bend), available on Lulu.com and Amazon.com.